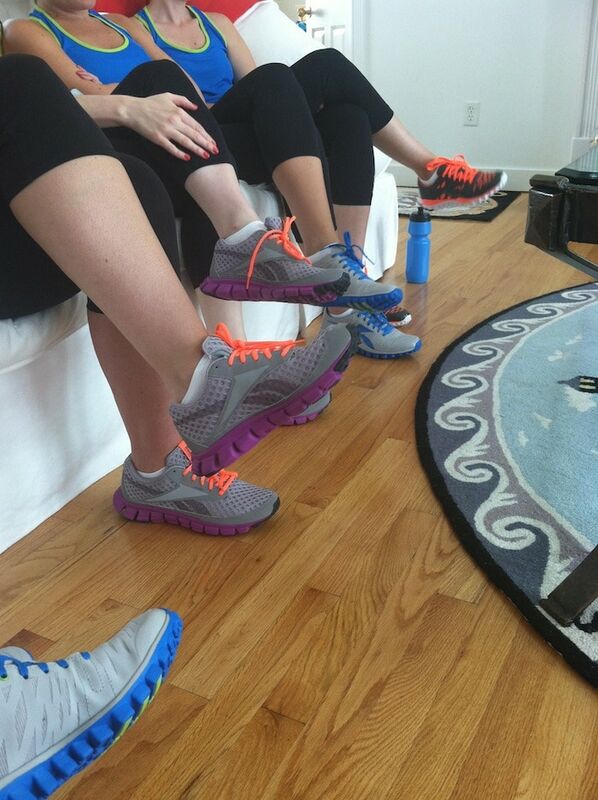 I had the opportunity to test out some Reebok sneakers a month ago during a fitness dance class. Several writers got together and danced their little uncoordinated hearts out. It was a lot of fun and a great way for me to check out the brand. 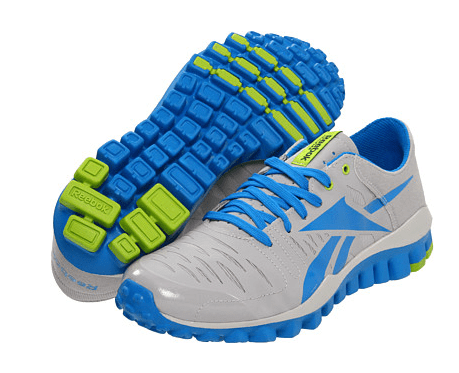 The grey with blue Reeboks are the RealFlex Fusion TR and they are lightweight running shoes. The retail for $99 and come in sizes 5-11. Two-layered synthetic and mesh upper/Comfort, fit and breathability. Removable molded PU sockliner/Cushioning and comfort. Want more information on the Reebok RealFlex? Click here. The purple / grey sneakers are the ones I tested out and those are named Reebok SmoothFlex Cushrun. I really REALLY liked them and for $79.99 – you can’t beat it. 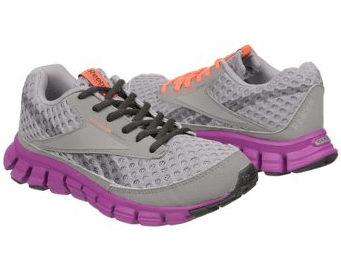 These sneakers go up to size 12 for women and provide just the right amount of support you need to head out for a jog. They were really comfortable and offered a lot of cushioning. No matter which way I turned, I felt like my foot was protected. Sometimes when a sneaker is too rigid, you can feel uncomfortable making quick moves in opposite directions. These sneakers gave where I needed them to and I ended up wearing them for the few days I was in Nantucket. Synthetic/mesh upper/Comfort, fit and durability. Removable PU sockliner/Extraordinary cushioning, accomodates orthotics. Want more information on the Reebok Smooth Flex? Click here. Previous Post: « Looking For An Online Discount Code? I Have 13!